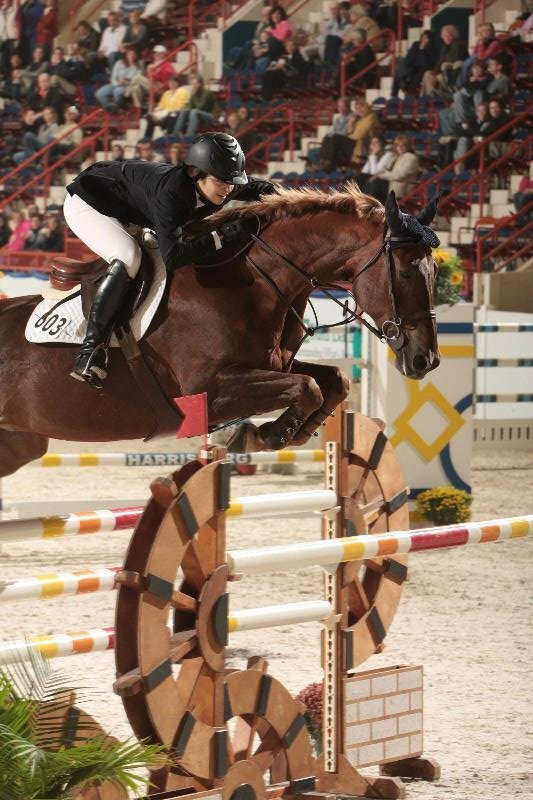 Harrisburg, Pa. - October 22, 2010 - Kristin Glover of Richmond, Va. and The Boy Wonder won the $15,000 Cavalor Show Jumping Hall of Fame (SJHF) Amateur Owner Jumper Classic in a two-horse jump-off. 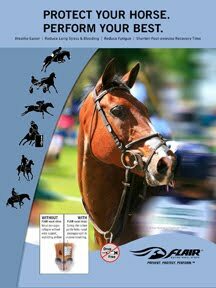 The event was the culmination of the year-long Cavalor Show Jumping Hall of Fame Junior/Amateur Owner Classic Series. A total of 24 horses started on the challenging course and only two earned clean rounds. Danielle Cooper of Syosset, N.Y., and Kosta returned first to the jump-off, but pulled a rail for four faults in 32.315 seconds. The Boy Wonder handled the shortened eight-obstacle course with confidence and turned in a fault-free round in 33.939 to win. The Boy Wonder and Glover won here at the Pennsylvania National Horse Show last year in the $5,000 NAL Low Amateur Owner Jumper Final. After their success in the Low Amateur Owner division, the pair moved up to the SJHF Amateur Owner Series. Glover, who rides with Teddi Ismond, is an engineer and the mother of four and started riding again about six years ago after a 20-year break. Glover was very excited following her win. "It's great, I love it! He [The Boy Wonder] loves it just as much; he's a real competitor. He's a great little guy!" The Boy Wonder, a 14-year-old Appendix Quarter Horse, has been with Glover for three years. "We may move him up to some little Grand Prix's, but this is his specialty." Danielle Cooper and Kosta may have finished second in the $15,000 Cavalor Show Jumping Hall of Fame Amateur Owner Jumper Classic, but their other performances were good enough to clinch the Amateur Owner Jumper division Championship sponsored by K.R. MacDonald Incorporated. The Boy Wonder and Glover were the Reserve Champions. Cooper also earned the Leading Rider Award for Amateur Owner Jumper Section, sponsored by Mr. & Mrs. Gary E. Swenson. Bradberry, with owner Laura Chapot in the irons, flew around the course to win Friday night's $5,000 Open Jumper sponsored by Mr. and Mrs. James V. Tanzola in just 50.222 seconds. 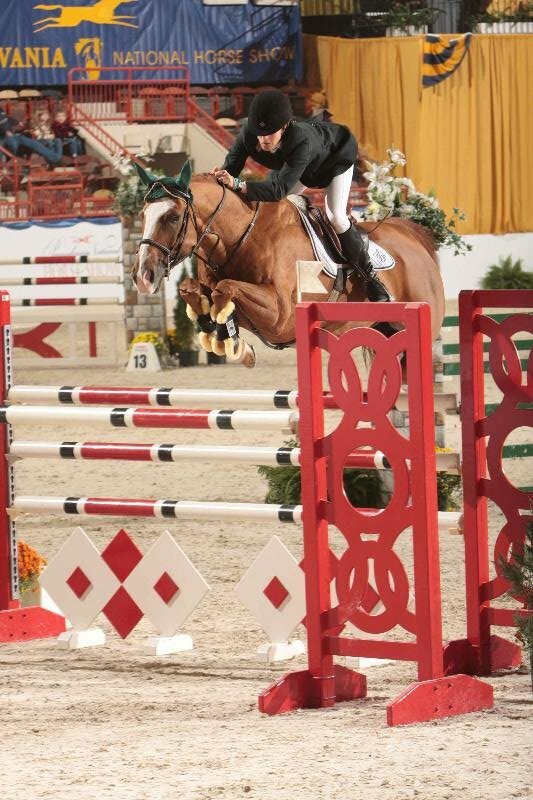 More than one full second behind them were Samar and Kent Farrington with a time of 51.331 to take second. Rounding out the top three was Allisson ridden by Shane Sweetnam in 52.121 seconds. The Pennsylvania National Horse Show (PNHS) continues through Saturday evening, October 23, with the grand finale, Saturday evening's $75,000 Grand Prix de Penn National. General admission for Saturday is $20 for adults and $10 for seniors and students. As always, children under 6 are admitted free in general admission seating. Convenient parking is also free. The Pennsylvania National Horse Show is proud of its tradition of supporting equine and youth programs. The show benefits the Harrisburg Kiwanis Youth Foundation and the Pennsylvania National Horse Show Foundation, a 501(c)(3) not-for-profit organization. 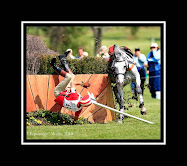 Details are available at the horse show's website at www.panational.org or by calling the horse show office at 717-770-0222.